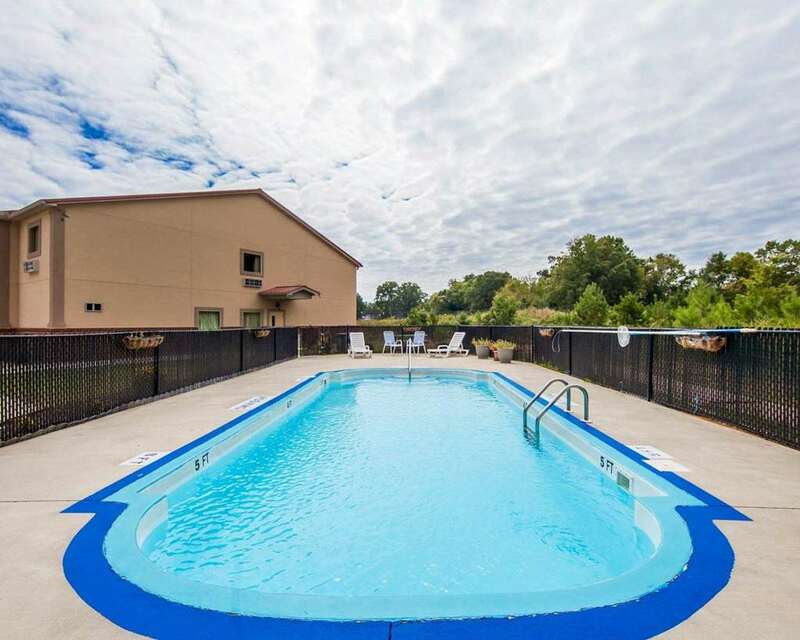 The Econo Lodge Inn and Suites hotel in Rockmart, GA is an easy stop on the road. Our hotel is off Highway 278 near Rockmart Downtown Historic District, Six Flags Over Georgia, Museum Tower, Oak Hill Cemetery, Rome Area History Museum and the Chickamauga and Chattanooga National Military Park. Amenities include free Easy Starts continental breakfast, free WiFi, a business center, guest laundry facilities and free coffee. Rooms include a HDTV, microwave, refrigerator, coffee maker, hair dryer, work desk, iron and ironing board. Select rooms have sofa sleepers and a hot tubs. Also, earn rewards including free nights and gift cards with our Choice Privileges Rewards program. Pets not accepted, only service animals are permitted.